Kendrick Cunningham intends to vote on Tuesday in his first presidential election, but the 20-year-old won’t cast his ballot alone. He plans to march from campus to the polls, alongside hundreds of fellow students who attend St. Augustine’s University in Raleigh, North Carolina. The historically black institution was founded in 1867 to educate freed slaves; the voting march is a school tradition. This election cycle, Millennial voters 18 to 34 have been the subject of conjecture and hand-wringing: everyone from politicians to pundits have theorized whether young people will be broad participants in this year’s democratic process, or, reject civic traditions and stay home. That’s led to various organizing strategies developed by and for Black millennial leaders and activists, aimed at engaging young people. “We want to ensure they’re motivated and energized to vote,” said Alyssa Cantyof the nonpartisan citizen’s lobbying group, Common Cause. And according to national data, Black Millennials do vote. A report from the Black Youth Project shows younger African Americans have voted at higher rates than white youth in the past two elections. For instance, 52 percent of black Millennials voted in 2008, compared to 48 percent of young whites. In 2012, the numbers dropped a bit, but 45 percent of black youth voted, vs. 41 percent of their white counterparts. Moreover, the report shows, black Millennials overwhelmingly supported Obama’s re-election quest four years ago; the cohort outpaced young whites (44 percent) and Hispanics (76 percent) by giving him 95 percent of their votes. “This election is critical,” said Deven Anderson, 31, lead organizer of Black Youth Vote!, a campaign launched by the National Coalition on Black Civic Participation, a non-partisan advocacy group in Washington, D.C.
“Local, state and national candidates need to be held accountable to address key issues many black youth care about,” he said, citing such issues as criminal justice and policing reform, living wage jobs and college affordability. To that end, the Black Youth Vote! team has partnered with youth leaders across the country, including at several dozen Historically Black Colleges & Universities (HBCUs), churches and community-based organizations. “We found through our interactions and research, that millennials tend to respond better to other young people,” Anderson added. Indeed, the NAACP has an active Youth and College Division. 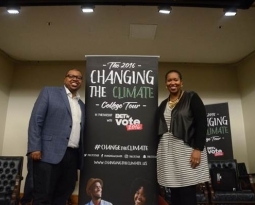 Color of Change, a digitally driven activist group, used its PAC to launch a series of text-a-thons nationwide designed in part to target youth via its #VotingWhileBlack initiative. 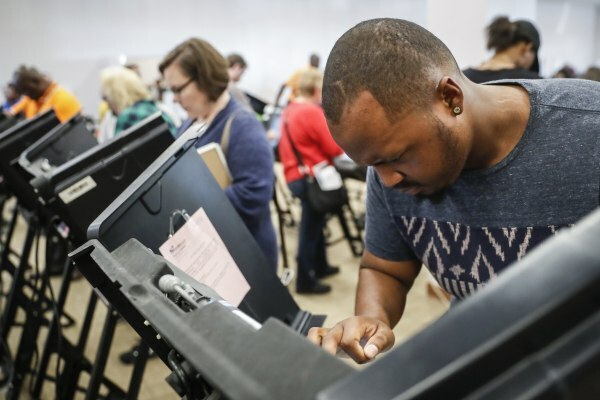 The National Urban League (NUL) launched a campaign in tandem with various partners called `Our Vote Matters,’ geared towards encouraging millennials, among others, to vote. The endeavor included a bus tour in Ohio (a battleground state) with stops on college campuses and at churches. There were also online Twitter chats (#OurVoteMatters) and digital ads. “We’re trying to leverage the power of young people within our communities,” said Carlos Clanton, president of NUL’s Young Professionals, the auxiliary arm of the organization which targets ages 21 to 40. 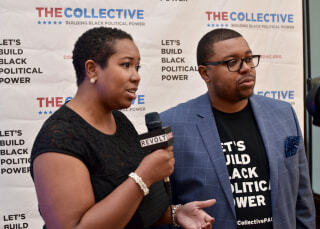 Despite the flurry of efforts by Civil Rights organizations and other stakeholders in the African-American community, some experts say even more needs to be done to engage black millennials in the political arena. The young power couple just finished touring the country for the Changing the Climate Tour in partnership with BET’s Vote 2016 campaign. 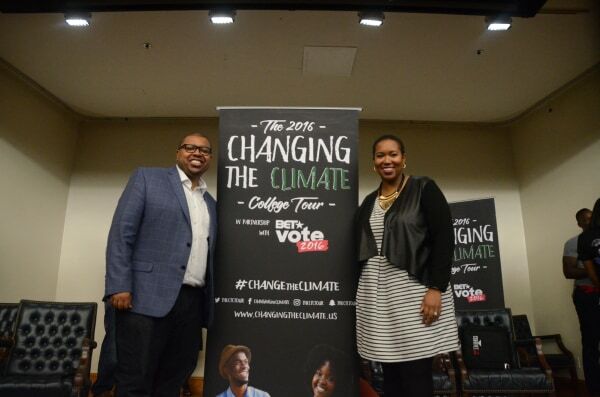 With stops in 10 cities, including Cleveland, D.C., and Atlanta, the college themed initiative featured panels of nationally-recognized thought leaders, pundits, celebrities and activists. 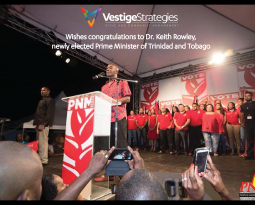 The goal was to inspire millennials on the impact of their voice and vote, and the need for action and activism on issues such as environmental equity, climate change and more. The pair was part of a voter education panel earlier today at Florida Memorial University. A second event this evening, also at the university, has been dubbed the “Young Gets It Done” rally. Aimed at African-American, Latino, and Haitian/Caribbean young people between 18 and 34, the free, public rally is expected to bring together 5,000 people in Miami. Hosted by Angie Martinez, musical artists slated to appear include “T.I.” Harris, Rick Ross, Gucci Mane, Pusha T, and Jay Electronica. They will join social justice activists such as Sybrina Fulton and Jahvaris Fulton, the mother and brother of Trayvon Martin. 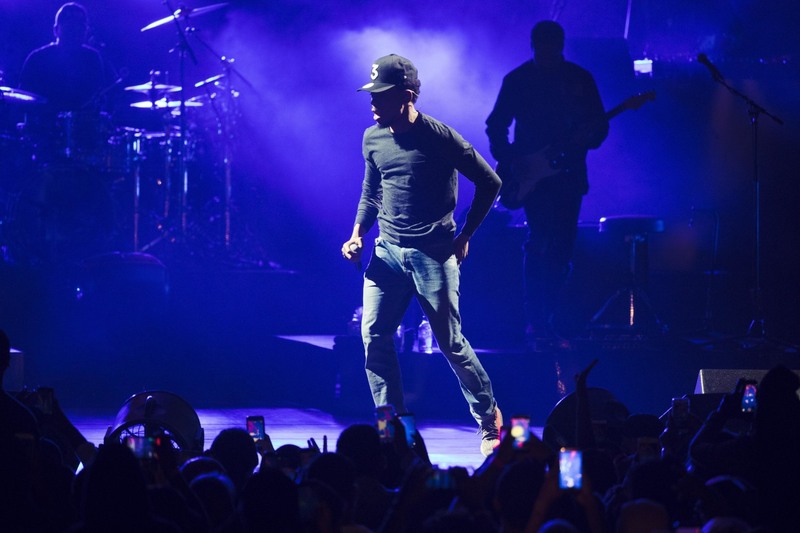 While not affiliated with the tour, the couple helped to organize and co-produce the festivities, sponsored by 1199 SEIU United Healthcare Workers East, in partnership with the NAACP Youth and College Division. 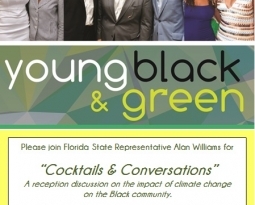 “Now we have this amazing event to help ensure we raise up the concerns of young black voters and encourage them to participate in the election on Tuesday,” said Quentin James. Be it local, state or national races, “There’s a lot at stake for young minorities in this election,” said Mary-Pat Hector, 18, a sophomore at Spelman College in Atlanta. Hector, who juggles roles as a student government officer, and as the youth director of the National Action Network, worked with peers on campus to educate potential voters.